hipster crap, unlistenable. claim to be "woke" and then start getting into how awesome apple is. just ICK. Used to be great. But now they're sellouts. All about the $ now. so unless you subscribe on Patreon, then you'll only get 30 minute episodes. Early on it was about educating and helping, but it's clearly about the cash now. Disappointing. just started on episode two - technology ... Great stuff! Joshua & Ryan talk about setting intentions, differentiating essentials from nonessentials, developing a plan to leave the corporate world, and the difference between "good intentions" and intentionality, and they answer the following questions: Do you recommend that everyone leave their corporate jobs? How do I minimize my consumption of a plethora of unnecessary physical consumables? How do I remind myself during my daily routine of the intentions I set for myself? How do I maintain my composure with seemingly good-intentioned people who insist on contributing their unsolicited advice at every opportunity? Detailed show notes: minimalists.com/podcast. Joshua & Ryan discuss the upside of constraints, the freedom of limitations, and the flexibility of nonstandard lifestyles, and they answer the following questions: How do I acclimate myself to letting go when I’ve been encouraged so strongly for so long to save everything? How do I embrace a minimalist lifestyle despite my current maximalist obligations and responsibilities? What constraints have you implemented in your life to help you become a better minimalist? How do I determine what constraints are in my best interest? Detailed show notes: minimalists.com/podcast. Joshua & Ryan chat about experiences, regrets, the adventures of moving to to a new city, and the cost of bad habits, and they answer the following questions: How do I avoid getting mired in the materialism of city life when I move there from my rural residence? How can I spend time out and about with my friends without spending an inordinate amount of money? Is it better to follow the tried and tested route based on other peoples’ experiences, or is it better to take risks and enjoy your own experiences? How do I better internalize the lessons from the good and bad experiences of my past? Detailed show notes: minimalists.com/podcast. Joshua & Ryan chat with T.K. Coleman about education, college, and careers, and they answer the following questions: How do I move on from my current job when it leaves me little time to pursue an education or even look for a new job? How do I prepare myself adequately for the upcoming challenges of college? How do I determine if I’m following the most appropriate career path for me? How can I avoid work meetings that distract me from meaningful work without upsetting the status quo? Detailed show notes: minimalists.com/podcast. Joshua & Ryan brought Rich Roll into the studio to chat about the role food plays in our everyday lives and how to use food as fuel instead of entertainment, and they answered the following questions: How do I maintain a healthy diet while traveling? How do I purchase organic foods and grass-fed meats given my modest budget? How do I determine what is trendy from what is actually beneficial for me? Is there a relationship between nutrition and mental health? Detailed show notes: minimalists.com/podcast. Joshua & Ryan talk about new beginnings, starting over, creating new habits, walking away from bad situations, health problems, and losing weight, and they answer the following questions: What items should I keep, sell, donate, or recycle before I move to a new residence? How can minimalism help me adopt an appropriate diet? How do I build the confidence necessary to undertake a new beginning in my life? How do I overcome the fear of stepping outside my comfort zone to start a new career? Detailed show notes: minimalists.com/podcast. Joshua & Ryan talk about resetting, taking breaks, prioritizing, healing, and finding time to recover, and they answer the following questions: What role can minimalism play in healing? How can I get the alone time I need between a full schedule and a full house? How do I prioritize tasks that are important but not urgent? How can a minimalist stay a minimalist when they live in a non-minimalist environment? Detailed show notes: minimalists.com/podcast. Joshua & Ryan chat with Derek Sivers about simplicity, complexity, parenting, creativity, and saying “no” to almost everything, and they answer the following questions: How do I prioritize the most important things in my life once I’ve eliminated the clutter? How do I say ‘no’ to gifts and donations from my loved ones for my newborn without looking like an unappreciative jerk? How do I stay present with my loved ones when there are so many pressing demands on my time from my professional life? How do I ensure I stay committed to my minimalism journey? Detailed show notes: minimalists.com/podcast. Joshua & Ryan talk about some of their favorite high-quality items, and they discuss finding a balance between quality and quantity. They also answer the following questions: How do I transition to buying quality over quantity? What brands of products and services do you recommend to other minimalists? What’s the best approach to fight that programmed obsolescence that is engineered by big companies? What is your definition of quality? Detailed show notes: minimalists.com/podcast. Joshua & Ryan talk about creativity, writing, music, and hobbies with Paul Johnson of Canyon City, and they answer the following questions: How do I reconcile my minimalist values and beliefs with all of the items that are necessary for my hobby? How can I ensure my work space only contains those tools that are absolutely essential? Is it still a hobby if I make money from it? Are hobbies essential for a happy mind? Detailed show notes: minimalists.com/podcast. Joshua & Ryan invite Courtney Carver into their new studio to talk about emotions, and they answer the following questions: How do I maintain high standards for myself without beating myself up when I fall short of those high standards? How do I let go of resentful feelings I have toward people that cling to their belongings and don’t embrace minimalism? How important is it to take emotion out of all of our important life decisions? Why is being emotional stigmatized while so many of us desire to feel good? Detailed show notes: minimalists.com/podcast. Joshua & Ryan are back “in studio” to talk about how they’re using social media in 2018, and they answer the following questions: What advice do you have for those that want to use social media more intentionally for their business? How do I create a social media strategy for my business without sacrificing my personal privacy? How do I determine the line between too much and just enough when I use social media for promotion? Did you discover a newfound value or a lack of value regarding social media after being off of it? Did your absence from social media make you realize it made your life more meaningful, or did it make you realize it’s just a modern platform to advertise? Detailed show notes: minimalists.com/podcast. Joshua & Ryan are back “in studio” to talk about decorations, and they answer the following questions: Are non-functional decorative items appropriate in a minimalist’s home and work environments? How can I reconcile my need to minimize my possessions when others’ perceptions of my personal and professional statuses rely on those possessions? How do I address the unsightliness of my child’s collections? How do I curate an art collection as a minimalist? Detailed show notes: minimalists.com/podcast. Joshua & Ryan are back “in studio” to talk about collecting, and they answer the following questions: How do I reconcile my collector’s mindset with the principles of minimalist philosophy? How do I appropriately purge my medals and trophies? How do I express my minimalist viewpoint regarding my loved ones’ collections without offending my loved ones? What fuels people's desires to collect in the first place? Detailed show notes: minimalists.com/podcast. Joshua & Ryan chat with minimalist-traveler Colin Wright, author of Some Thoughts About Relationships, and they answer the following questions: What minimalist advice would you give a teenager on the cusp of graduating from high school and starting their journey into life? What does a happy, ideal life look like to you now that you’ve fully adopted minimalist practices? How do I purge the emotional baggage I accumulated throughout my childhood that is now interfering with my adulthood? How do I best utilize the free time I’ve discovered as a result of embracing minimalism? Detailed show notes: minimalists.com/podcast. Joshua & Ryan visit Nashville with musician Griffin House, and they answer the following questions: How do I keep from bringing the mental clutter I accumulate at work into my personal life? How can I ensure I continue to look my best but minimize my cosmetic consumption? How can I better use food as a fuel instead of as a crutch? What advice do you have for aspiring entrepreneurs that want to use your journey as entrepreneurs as their business model? Detailed show notes: minimalists.com/podcast. Joshua & Ryan are back in-studio with Dan Harris, author of Meditation for Fidgety Skeptics, and they answer the following questions: I know what I must do to achieve happiness in the long-term, but how do I address my unhappiness in the short-term? How do I let go of nagging feelings of regret when I make mistakes? How do I squeeze meditation into an already full agenda? How do I maintain happiness without becoming complacent? Detailed show notes: minimalists.com/podcast. Joshua & Ryan have a hilarious conversation with satirist JP Sears in Atlanta, and they answer the following questions: Is it necessary to explain to those that contribute to your mission how the money will be used? What tips do you have for those that hate public speaking but must be public speakers? How did you maintain your mental health after you completely decluttered your life? How do I reconcile taking advantage of nearly every deal when shopping for a large family with the tenets of minimalism? Detailed show notes: minimalists.com/podcast. Joshua & Ryan are back "in studio," and they answer the following questions about challenges of the New Year: What tips and tricks do you have regarding daily task planning and organizing? How do I dial back my proclivity to be a workaholic and learn to enjoy life again? How do I inspire myself to hold true to my minimalist ways year after year? How do I take a leap of faith into a new creative endeavor when the direction and viability of the pursuit are not clear? Detailed show notes: minimalists.com/podcast. Joshua & Ryan present their favorite moments from 2017, and they answer the following questions: The workload at my current job consistently flows over into my personal time on my evenings and weekends, and it causes me a great deal of stress and anxiety in doing so—should I stick it out, and, if so, how do I manage the stress and anxiety? What are the most responsible clothing manufacturers that produce the highest quality clothing? How do I deal with setbacks and failure when I’m challenged by a mental illness? When you experience major life events, do you find your values change, and, if so, what do you do about it? How do you handle a toxic relationship with a parent? How do you determine which sentimental items to keep, and how do you ensure that you don’t apply that sentimentality to everything else? What advice do you have for creating a realistic value-based budget and adhering to it? Detailed show notes: minimalists.com/podcast. Joshua & Ryan give you a special episode as a Christmas gift, and they answer the following questions: Why do you think you receive any criticism at all for spreading such a positive message? How do I resolve my feelings of guilt regarding all the items that I purge that must wind up in a landfill? How do I deal with the difficult decisions regarding what items, values, beliefs, relationships to let go? Is it possible to take minimalism too far? What rules should I set for myself when developing my daily schedule to ensure it focuses on my true priorities? How should I address the stress and anxiety I experience when I visit my loved ones’ cluttered environments? How do I help my loved ones find the leverage they need to let go of worthless items? What is the best way to move past negative feedback? How do I let go of friendships that are no longer adding value to my life? How do I conquer the fear of change? What do you believe is the greater good, and how do you believe minimalism can contribute to it? How can I promote a more minimalist lifestyle to others through my profession? Detailed show notes: minimalists.com/podcast. Joshua & Ryan speak with Joshua Becker, founder of Becoming Minimalist, in Phoenix, and they answer the following questions: Does the minimalist life ever become stress-free? How does a minimalist appropriately purge religious items? What should I do with everyday use items that are in storage—such as spoons and forks, pots and pans, cups and bowls—while I’m temporarily living with a roommate? What recommendations do you have for goods that are both sustainable and durable? Will the economy crash if everyone practices minimalism? Detailed show notes: minimalists.com/podcast. Joshua & Ryan speak with Scott Harrison, founder of charity: water, in New York City, and they answer the following questions: How do I help my child adopt minimalist practices without ruining their childhood expectations of the holidays? How do I address the stress from my passions so I don’t lose my love for them? How do I overcome the fear of leaving a ‘safe’ job with corporate benefits for a more independent pursuit that’s better aligned with my passions? How do I get my partner to accept and embrace minimalism? Detailed show notes: minimalists.com/podcast. Joshua & Ryan visit Denver, and they answer the following questions: How do I ensure I don’t fall off the minimalism wagon? How do I determine my passions, cultivate them, and incorporate them into my life? Have you ever taken minimalism too far? How do I stay confident and motivated through failures? Detailed show notes: minimalists.com/podcast. Joshua & Ryan speak with Malcolm Fontier in Brooklyn, and they answer the following questions: How do I minimize daily stress and still fully engage in the moment? What should I do when my values and beliefs are in conflict with the actions I believe I must take for the welfare of my loved ones? How do I help my community adopt minimalist practices? Are there values and beliefs I must adopt to call myself a minimalist? How do I ensure my existence in the material world consistently aligns with my minimalist values and beliefs? Detailed show notes: minimalists.com/podcast. Joshua & Ryan speak with Courtney Carver, founder of Be More with Less, in Salt Lake City, and they answer the following questions: How do I know when I’ve taken minimalism too far? What should I do if the countless accoutrements and other moving parts required for my job are causing me stress? How should I support my loved ones who want to let go of their cherished items but are in a highly vulnerable state? Is there one thing you treasure more than anything else? Detailed show notes: minimalists.com/podcast. Joshua & Ryan speak with Lewis Howes, author of The Mask of Masculinity, in San Diego, and they answer the following questions: What do you suggest as a first step for those that are interested in adopting minimalism but have a fear of change? What advice would you give someone who doesn’t have children to prepare them for a relationship with someone else who already has children? How do I maintain a simple, intentional lifestyle in an increasingly complex world? Is there anything inherently spiritual or deeply philosophical in minimalism that inspires you and keeps you focused on spreading your message? Detailed show notes: minimalists.com/podcast. Joshua & Ryan visit Edmonton and record one of their favorite episodes, and they answer the following questions: Where should I start regarding adopting a ketogenic diet? How do I address my parents regarding my distaste for accepting family heirlooms? Was there anything you purged that surprised you? How do I minimize without offending those who gave me the things I’m purging? How do I navigate holidays with loved ones who aren’t aspiring minimalists like me? Detailed show notes: minimalists.com/podcast. Joshua & Ryan visit Calgary, and they answer the following questions: What tips do you have regarding finding, and being satisfied with, your own clothing style? What advice do you have for those people who are reluctant to take action immediately to improve their lives? What is your favorite ski resort? What is your favorite podcast? How do you explain you don’t want physical gifts to a loved one that enjoys giving gifts? Detailed show notes: minimalists.com/podcast. Joshua & Ryan visit Vancouver for their 100th episode, and they answer the following questions: How do you address feelings of loss when a prized possession you use daily is stolen? What is your process for curating the most important things in your life? How did you start living simple, intentional lives, and what advice would you give others seeking to do the same? How do I resolve my feelings of guilt regarding things I’ve purged from my life? What resource—book, podcast, film, etc.—has inspired you the most in your minimalism journey? How can I help my children adopt minimalism while respecting their attachment to their things? Detailed show notes: minimalists.com/podcast. Joshua & Ryan speak with Julien Smith, founder of Breather, in Montreal, and they answer the following questions: What is the most challenging aspect of your current journey as The Minimalists? How do I reconcile many of the traditional goals I grew up with—corporate career, marriage, children, home ownership, etc.—with the tenets of minimalism I now follow? How do you recommend we address others who question our minimalist lifestyle? How do we help our children become more conscious of compulsory consumption? What advice do you have for recent college graduates who are graduating from college with mountains of debt and molehills of prospects? What is the next step after decluttering? Detailed show notes: minimalists.com/podcast. Joshua & Ryan visit Ottawa, and they answer the following questions: As dedicated minimalists, what do you want the world to look like in five years? How important do you believe the history of minimalism is to the current minimalism movement? Do you believe taking on some student debt is a more effective use of your time than working 16+ hour-days for years to pay for a college education? What are some tricks and tips for getting rid of heirlooms? How do we help children adopt minimalism? Detailed show notes: minimalists.com/podcast. Joshua & Ryan speak with Chris Guillebeau, author of Side Hustle, in Portland, Oregon, and they answer the following questions: How often do you recommend reassessing your values to ensure your short-term actions still align with your long-term goals? When is bankruptcy the appropriate option for those people that are struggling with their finances? How do I help my partner adopt minimalist practices? What ideas, concepts, and skills did you glean from Corporate America that helped you in your minimalist journey? Do you believe the philosophy of minimalism you have adopted has informed your spirituality? When you’re at home, what kinds of meals do you cook, what kitchen utensils do you use to prepare them, and how long does it typically take to make them? Detailed show notes: minimalists.com/podcast. Joshua & Ryan visit Toronto, and they answer the following questions: What ultimately made you decide to quit your jobs? What should I do if I have conflicting values? What tips do you have for traveling light? Can social media truly add value to our lives? Detailed show notes: minimalists.com/podcast. Joshua & Ryan talk about where they're moving, and they answer the following questions: How do you move past feelings of shame regarding past mistakes and embarrassing episodes in your life? How do you ensure you’re addressing any emotional baggage attached to items as you’re getting rid of them? Is there a path to purchasing a house without taking on debt? Is it cheaper to sell your furniture before a move and then buy new furniture for the new place, or is it cheaper to pay to move the furniture you already own? How do you decide if it’s better to stick with what you have where you currently live, or if it’s better to move to a new place and start over? What should I do with all my camping gear that I feel is overwhelming me? Detailed show notes: minimalists.com/podcast. Joshua & Ryan talk about budgeting, and they answer the following questions: Is it good or bad to have a credit rating? Is it appropriate to move in with loved ones to save money? In what order should I pay off my debt? What advice do you have for creating a realistic value-based budget and adhering to it? How do I stick to my budget without restricting experiences with loved ones? What do you recommend to those in the ‘pre-budget’ stage that are not ready to make every dollar go in its place? How can I still afford some enjoyment in life while paying down my crushing student loan debt? What can I do with all these books, CDs, and DVDs that are weighing me down? Detailed show notes: minimalists.com/podcast. Joshua & Ryan speak with Andrew Belle in Indianapolis about his new album, Dive Deep, and they answer the following questions: As an introvert, how do you meet the demands of a passion that requires an extroverted personality? What suggestions do you have for preparing yourself for the reality of daily life once you’ve graduated college? How do you resolve the feelings of guilt you have for even purchasing items you need to run a business? How can I be more intentional regarding the relationships I bring into my life? To what extent did the bursting of the housing bubble in 2008 affect your journey into minimalism? Detailed show notes: minimalists.com/podcast. Joshua & Ryan visit Spokane, and they answer the following questions: How do I minimize the many accoutrements I have for the many passions I pursue? How do you ensure you’re adding the appropriate amount of value to a relationship? What advice do you have for ensuring you don’t lose memories when you let go of sentimental items? How do I minimize a plethora of paper documents I’ve saved and filed just in case I need them? How do you explain your new minimalist lifestyle to former colleagues who are non-minimalists without bragging or sounding elitist? What advice do you have for someone considering which mortgage term is most appropriate for them? How deeply have you delved into the more energetic aspects of adopting minimalism? How do you stay humble amidst the trappings of fame that come with being The Minimalists? How do we help our children adopt minimalism when everything they own is the most important thing in the world to them? Detailed show notes: minimalists.com/podcast. Joshua & Ryan discuss whether nostalgia is useful or dangerous, and they answer the following questions: How do you determine which sentimental items to keep, and how do you ensure that you don’t apply that sentimentality to everything else? Is it okay for an aspiring minimalist to keep a small container of sentimental items as a time capsule? How did you let go of yearbooks? Is there a healthy form of nostalgia, or is it inherently useless to hold onto the past? How does nostalgia impact historical awareness, and how will minimalism change that in the future? Does nostalgia have a place in today’s world? Detailed show notes: minimalists.com/podcast. Joshua & Ryan visit Grand Rapids, and they answer the following questions: What is the best way to get rid of items that are still useful, but are of no value to me? How do I let go of the stress I feel when I witness my loved ones not aligning their short-term actions with their long-term values? How do you address all the stress that comes with inheriting all the stuff that comes with the passing of a loved one? Before you quit your corporate jobs, did you have your financial houses in order regarding retirement? How often should a minimalist do laundry? How do you continue to practice self-control as you become more successful and gain a greater capability to get more stuff? How do you deal with the stress of purging sentimental items, and how do you explain to those that gifted them to you that you have no need for their gifts anymore? Detailed show notes: minimalists.com/podcast. Joshua & Ryan visit Cleveland, and they answer the following questions: What advice do you have for minimalists who have loved ones that prefer to receive physical gifts? What is the best way to explain to a potential partner that you’re a minimalist? What advice do you have for those that want to adopt minimalism into their lives, but fear the changes? How do you manage the negative feedback that inevitably comes with failure? What is your advice to minimalists struggling to reconcile their personal values and beliefs that conflict with their professional values and beliefs? As minimalists, what are you saving your money for now? Detailed show notes: minimalists.com/podcast. 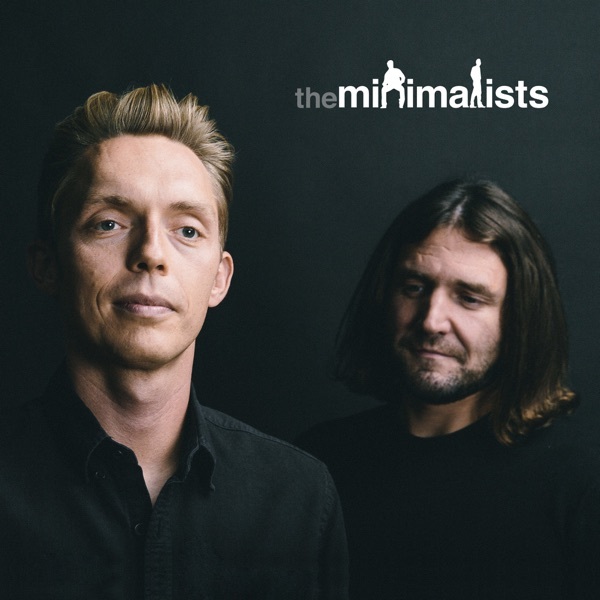 000 | Who Are The Minimalists?